A Dimension 7/16" to 15/32"
Color White. 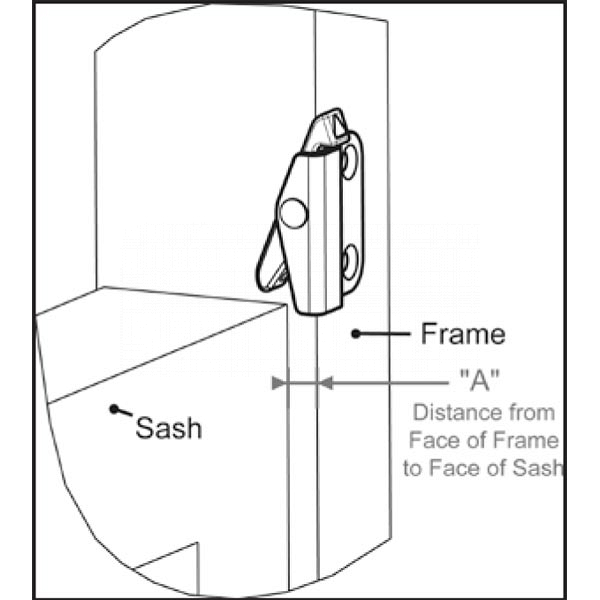 The Reverse Retrofit Angel Ventlock is the ideal limit control device in aftermarket applications. 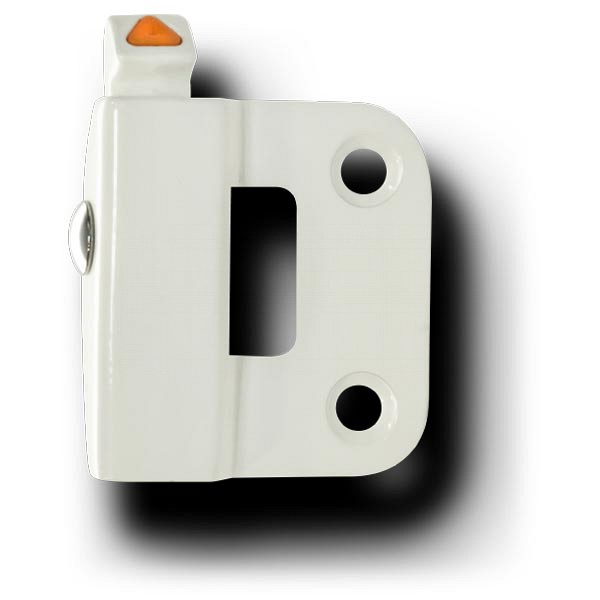 This Window Opening Control Device (WOCD) can be mounted on a vinyl, wood or aluminum single hung or double hung window.